Language and Life on the Carolina Coast – The relative isolation of the North Carolina Outer Banks and inland waterways helped to preserve features of British and Scots-Irish English in the local speech. At the same time the language developed independently from mainland English to take on a distinctive sound of its own. Today the character of regional speech is maintained with pride as an expression of heritage and identity. Rooted in twenty years of fieldwork, research and community ties, “The Carolina Brogue” is a candid portrait of contemporary life on the Carolina Coast, and a look at one of the most unique dialects in the world. 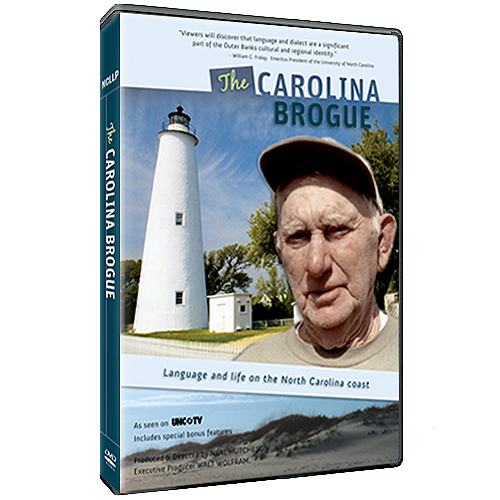 The Carolina Brogue DVD includes the first Language and Life Project documentary, The Ocracoke Brogue, a portrait of life and language on Ocracoke island.